It's a festive Christmas at the movies with SMART! Get 50% off the required points to redeem any SM Cinema Tickets and Treats. Check it out! 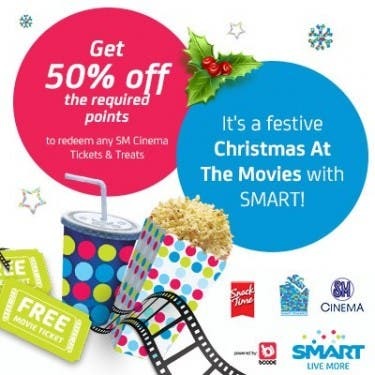 This Christmas Season, SMART Rewards is giving a 50% discount on the required points to redeem any SM Cinema Tickets and Treats via bCODE! Accumulate enough points and start redeeming FREE popcorn, FREE drink, FREE movie tickets, and P100 OFF movie discount coupons available in all SM Cinema branches nationwide. Just keep using your SMART Postpaid, SMART Prepaid and SMART Bro accounts to earn more points! To redeem, text REDEEM to 9800 for FREE. To check outstanding points, text POINTS to 9800 for FREE. 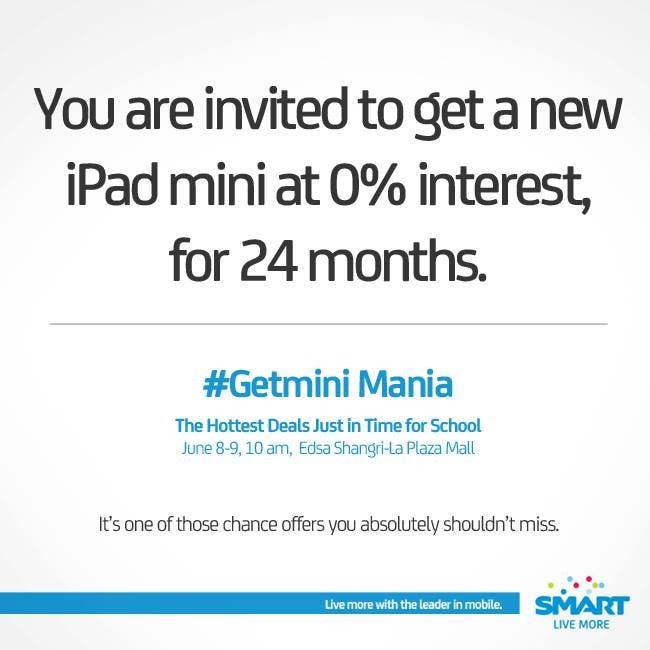 If not yet registered to SMART Rewards, text REWARDS to 9800 for FREE to register. Accumulate enough points and watch the seven official movie entries in the 2012 Metro Manila Film Festival (click HERE for the full details of the 7 movie entries in the MMFF 2012) for FREE. Plus FREE popcorn, FREE drink and P100 OFF movie discount coupons available in all SM Cinema branches nationwide by simply using your SMART Postpaid, SMART Prepaid and SMART Bro accounts. It will be a Christmas at the Movies when you redeem SM Cinema Tickets and Treats for 50% off using your points. Valid until December 31, 2012 only. 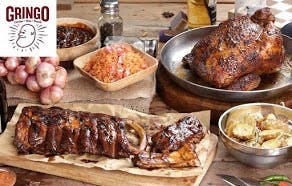 For more details, visit http://bit.ly/smartxmasmovie .